A free event to celebrate the rich history of the Old Fort Lowell Community. There will be lectures, exhibits, baseball games and activities for kids of all ages. There will also be food trucks if you get hungry! The most common complaint I hear about Tucson is the awful condition of Tucson roads, particularly the proliferation of potholes. Every time this subject comes up I recall that Congress Street wasn’t even paved until 1912 the year Arizona became a state. From myriad accounts by travelers in those early years, any pavement was better than no pavement. 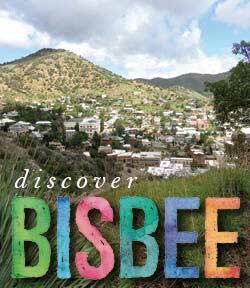 Bisbee, Arizona boasts an exciting piece of baseball history. It is home to the Warren Ballpark, considered the oldest continuously used professional baseball venue in the country. The field was built in 1909, five years before Wrigley Field in Chicago! On a cold December day in 1883, five men robbed the Goldwater & Casteneda Store on Main Street that substituted for Bisbee’s only bank. They did so believing that the mining company’s payroll was locked inside the store’s safe. What started as a quick and easy robbery ended in the death of almost a dozen people. The robbers quickly discovered a problem. The mine’s payroll had not yet arrived. Foolishly, the five robbers stuck around to steal what they could from the store, its owners, and customers. This took time. Time they did not have. Following the Gunfight at the OK Corral, Ike Clanton filed murder charges against the Wyatt Earp and Doc Holliday, as well as Virgil and Morgan Earp who had been wounded in the gunfight.